We all know that driving is a dangerous job. It should be no surprise then that truck drivers have the highest number of cases resulting in days away from work (2015 data), along with laborers, freight, stock & material movers, and nursing assistants. The annual incident rate for non-fatal illnesses and injuries for truck drivers is 3.075%, and they miss an average of 22 days annually due to work-related non-fatal injuries and illnesses. In this post, we are exploring the most common types of non-fatal injuries reported by drivers, and offer up some helpful tips for injury prevention. Musculoskeletal Disorders – MSDs. MSDs are characterized by sprains, strains and tears, and are by far driver’s most common workplace injuries, with an annual incidence rate of 1.329%, which is 43% of all injuries and illnesses. MSDs and soft tissue injuries are easily dismissed because they often appear as seemingly harmless annoyances that can be worked through. However, these injuries often persist and worsen over time, and have the potential to put a driver out of work. Drivers are a susceptible population in particular because the body is prone to injury when long periods of sitting are followed by short bursts of activity (hand bombing freight, fueling up a truck, washing the windshield, etc.). Drivers are also susceptible to MSDs by the repetitive use or misuse of a vehicle or vehicle parts (dolly, handcart, pallet jack, truck, trailer, or support equipment), climbing on/off, and opening/closing doors & levers. Slips/Trips/Falls – These account for approximately 21% of all injuries. While pretty self-explanatory, these injuries include drivers falling from the work surface (trailer, loading dock, ramp, walk-board), falling from a vehicle (eighteen wheeler, forklift, dollies), and slipping/tripping/falling on the work surface (ground outdoors, floor, street, loading dock). Being Struck By/Against an Object – These type of injuries account for approximately 14% of all injuries and illnesses. Each year, many trucking industry workers are seriously injured from getting struck by or against an object. These type of injuries include being struck by a vehicle (parts of a vehicle, equipment, lift-gates, doors, levers, winch bar, hydraulic arm, under trailer), or by being struck by a container (boxes, containers, tanks, bundles, cans, garbage). Motor Vehicle Collisions – account for approximately 7% of all injuries or illnesses. Drivers may feel that the causes of some injuries and unavoidable, and are just a condition of the industry they work in. And while equipment in the trucking industry might not seem to be designed with driver safety in mind, a professional driver does have the ability to take some control over their destiny. For example, many MSD injuries can be avoided through easy lifestyle modifications and proper stretching. Below, some more practices drivers can undertake to prevent workplace injuries and illnesses, with many on the list being zero or very low cost. Take care of yourself, and if you have been sitting for a long period of time, stretch and take a few minutes to get limbered up prior to starting any activity. Use the “3 points of contact” rule when working on elevated work surfaces. Avoid working at heights when possible. Don’t assume a good strong tug will open everything. Use both hands to push or pull levers and doors. Remember that faster isn’t better or safer. Use provided safety equipment. Use good lifting technique and mechanical aids. Evaluate first and then lift a container – size and weight can fool you. Don’t carry excessive weight. Use mechanical aids to lift and move cargo. Be prepared for load shift. Report discomfort and hazards early to your supervisor so they can be dealt with. Don’t misuse pallet jacks or dollies by over loading them, and avoid driving on poor or uneven work surfaces. Use good body position to move handcarts. Don’t pull or push with one hand, use two to distribute the impact to your body. Pushing is usually better than pulling. Use the “3 points of contact” rule when exiting or entering your cab. Depending on the type of driving you may exit your truck 5 to 50 times a day. Don’t jump out of a truck – this puts a great amount of stress and pressure on your joints. Use three points of contact when entering and exiting your truck. Before you exit, look for debris, ice or water that might make the steps or ground treacherous. Wear footwear with good traction, especially in the winter months. Keep the cab steps in good repair. Many times a fall on same level injury is the result of avoiding a falling object. If cargo or boxes are stacked too high, avoid walking around them. Don’t assume a stack of cargo/packages is stable enough to grab or lean on. Report unsafe conditions of equipment. Be careful when working on cargo pallets, boxes, and garbage. Uneven surfaces can cause trips and falls. Wear proper footwear. Wear sturdy shoes or boots that have good traction. This will keep you on your feet in rainy and icy weather. Inspect your boots for wear on a weekly basis. Look before you step, the ground conditions can change rapidly. A path that was once clear can become cluttered, obstructed, or slippery. Report unsafe conditions of equipment, at a terminal, or at a customer site. When you are on an elevated work surface do not back up; always face the direction you want to go to avoid dangerous situations. Be careful when opening up a trailer, items do shift during transit and have the potential to fall. Unlock and open one trailer door at a time. Shield yourself from falling cargo by standing behind the door. Don’t try to catch falling cargo or boxes. Be careful when exiting, entering or walking on a truck or trailer. Objects that stick out or move can surprise you and cause injury. Don’t force it. Use good posture and balance when you tension a strap and binder. If a binder breaks under load make sure your body is not in the path of release. When at a pickup/delivery site, watch out for loading/unloading equipment. Report poor conditions. Driver behavior: reduce speed during poor weather such as fog, heavy rain or snow and ice. Maintain adequate rest. Avoid the use of stimulants. Always wear the provided seatbelt. Anticipate unsafe driving acts of other vehicles. Scan traffic far enough ahead to be able to react safely to approaching situations. Avoid text messaging or using other visual communication/display devices while driving. Maintain brakes, wipers, turn signals and lights. 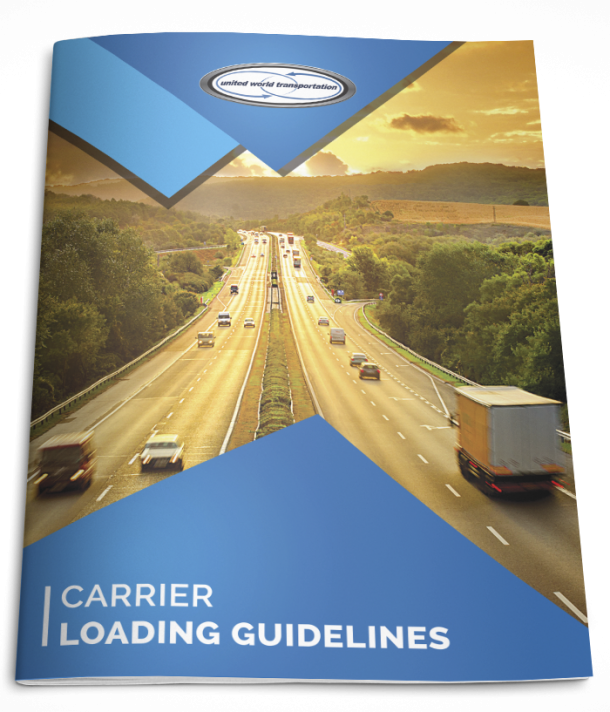 Make sure that proper cargo securement best practices have been followed. Remember that whatever the situation, take a second to look around and identify the hazards that may cause injury and if possible, eliminate them. And don’t be afraid to ask for assistance. Take care of your body so your driving career will last as long as you want it to! https://www.trucks.com/2016/12/05/heavy-truck-driver-toll-job-related-injuries/. Accessed March 1, 2017.
http://www.trucknews.com/health-safety/the-trucking-industrys-musculoskeleton-in-the-closet/1000936796/. Accessed March 1, 2017.
http://www.lni.wa.gov/Safety/Research/Files/Trucking/PreventingTruckingInjuries.pdf. Accessed March 1, 2017.